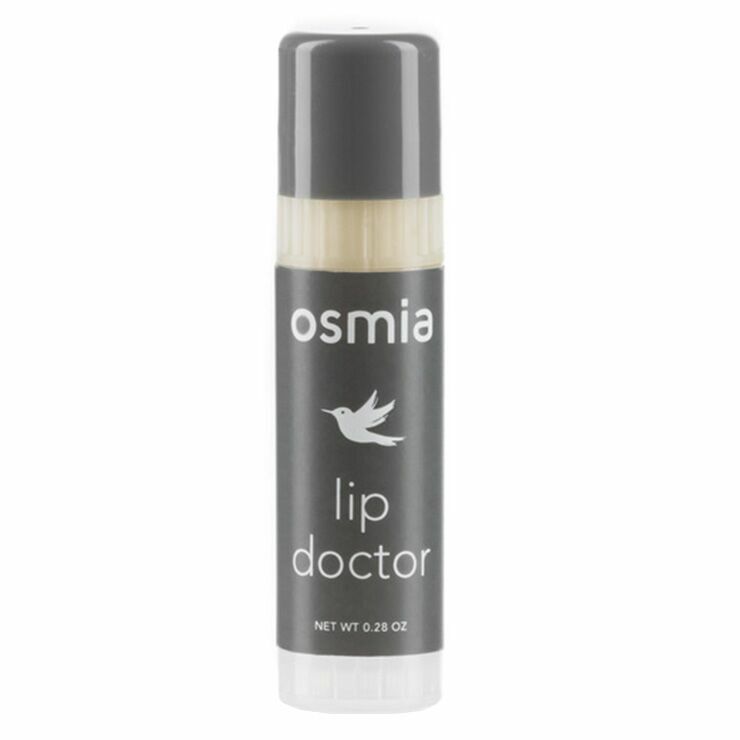 Lip Doctor by Osmia is made for those with sensitive skin and lips. This ultra-pure balm is formulated with 6 simple and pure ingredients and no essential oils. Organic avocado, argan and olive oils give this lip butter its glide, and beeswax gives it substance. Perfectly unisex, get one Osmia Organics lip balm for yourself and one to share. Glide onto lips as often as needed. I decided to finally give Lip Doctor a try and well... now I can't imagine my life without it. YES, it's that great. Smooth, perfect density, hydrating/moisturizing, non-sticky and it smells delicious (surely from the cacao butter!). Your lips feel instantly transformed after one application. I'm very thankful that there are no essential oils in this, especially peppermint which tends to make my lips peel. I want to add you can totally use this in other ways (on cuticles, elbows, as eye balm ...). Add this to your cart before checking out. You wont regret it! Perfect chap stick! Thick, but not too thick. I love IT! Every winter I struggle with dry hands and lips and this year was no different. I decided to be really proactive with my lip balm application. I bought a couple sticks that were natural, organic from a health store. I applied it multiple times a day and actually noticed my lips getting worse and peeling in chunks! They started bleeding and made wearing any kind of lip color impossible. Eating and even kissing my husband was uncomfortable! In my last order, I decided to add Osmia Lip Doctor but didn't have high hopes since my previous attempts at natural and organic lip balm was a bust. I put it on for the first time yesterday afternoon and reapplied before bed. I woke up today and came on to write a review. My lips have never been so soft- no peeling, no cracks, just soft and velvety. I'm so happy I found this! It's a MUST have! I've been through about five tubes of Lip Doctor. This product is perfection. After trying a number of products, I'm a bona fide Osmia fan. They really get skincare right. So, when the Lip Doctor showed up, I could not wait to try it. Now, it is a staple in my purse. I pull it out every time my lips get dry and find that they are instantly quenched.